I hope that everyone is doing well! I can't wait for Friday! Did you have a good week thus far? Mine has been pretty good. Each day has been getting better for some other things going on. I hope to be back to my old schedule soon. Posting Monday Wednesday and Friday. I hope to be back to doing that within a couple weeks. 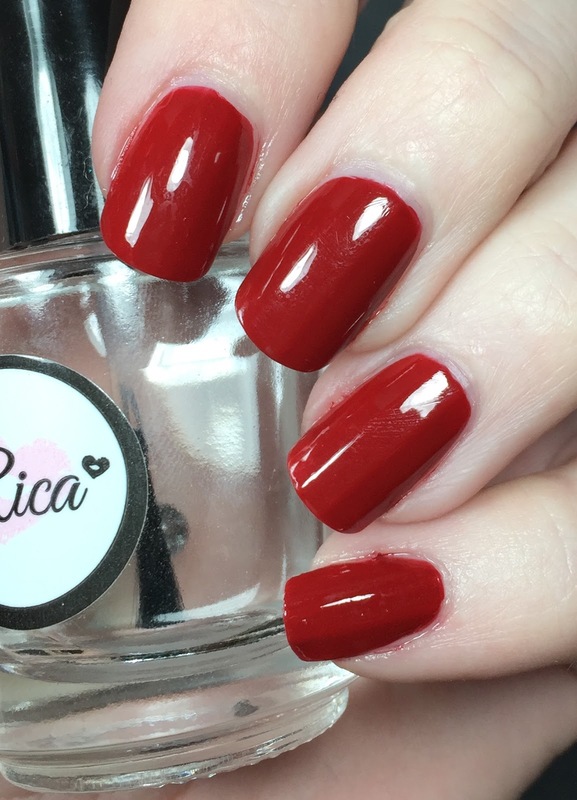 Today I have one polish to show you and it is called Romantically Involved by OPI. This one is part of the OPI Fifty Shades of Grey collection. This is the one red out of the collection. It's a nice deep red. I have been wearing this for four days already and it held up well. I used two coats of Romantically Involved and topped it with Glossy Glam. The formula was great on this one, another good job by OPI. 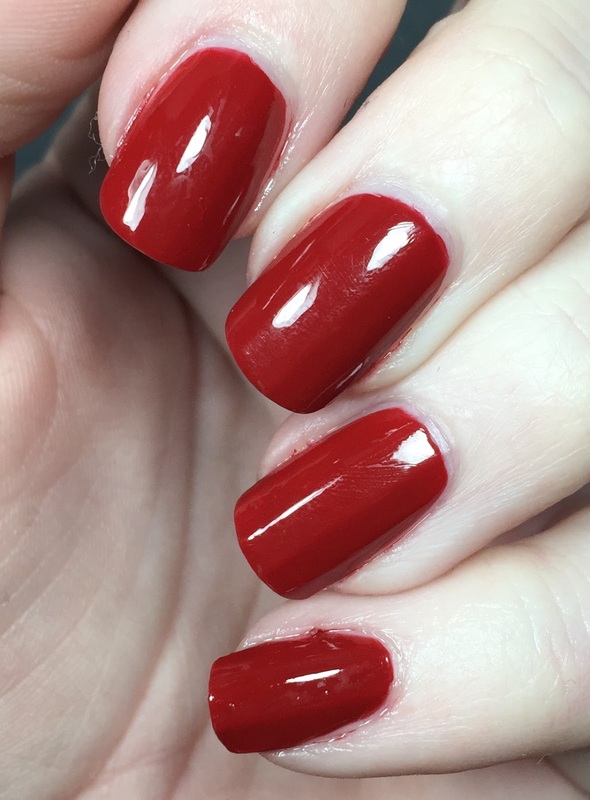 I don't usually fall for reds, but this one got me. I enjoyed it so so much. Part of me feels like I should have added a little something to it. 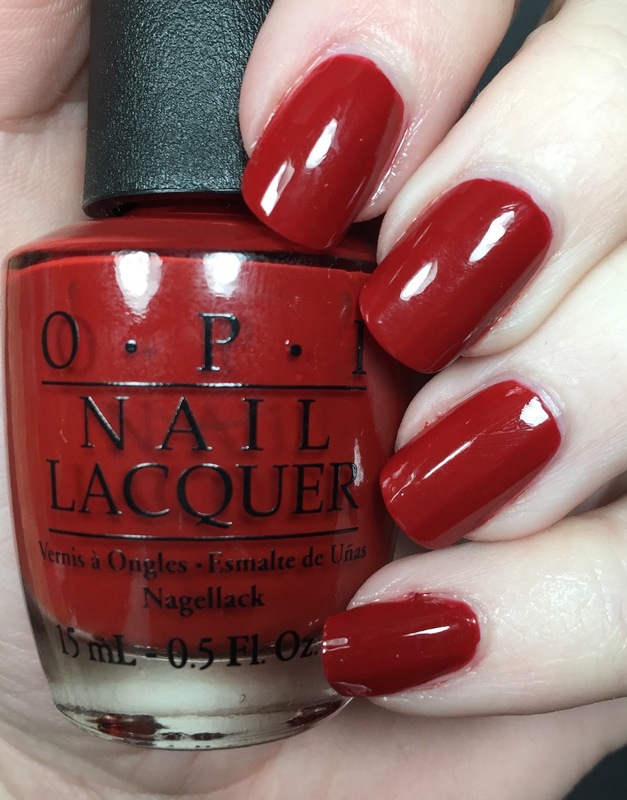 You can find OPI at a lot of local retailers and online! Nice burgundy red creme this is. Very sophisticated on the nails.